HootSuite: This is my go-to app for managing my own Twitter and Facebook presences, as well as those of my clients. The HootSuite iPhone and Android apps and website allow for easy creation of a new stream that searches for the hashtag of the event you’re at – so you can quickly scan to see what everyone else is doing and saying. I also use HootSuite to livetweet events, with the event hashtag, of course. Foursquare: Not everyone wants to broadcast their location, but for those of you that do, Foursquare makes conferences a lot of fun, particularly for a conference like SxSW with multiple events happening at once. Seeing where your colleagues and friends check in can help you make a snap decision on where to go next. I also use Foursquare as a simple way to catalog my travels – where I ate, what hotel I stayed at, etc. 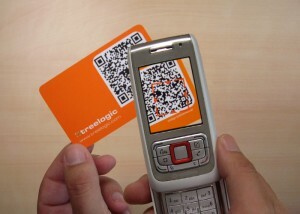 QR Codes: This is a bit on the heavy geek-tech side, but it’s a cool icebreaker. Use the ZXing Project QR Code Generator to create a 2-D barcode with your contact information in it. Then store that barcode as a photo in your smartphone. If you meet people who carry a smartphone, suggest that they snap your QR Code (from the photo) using a QR code reader (I recommend the i-nigma Reader) to quickly upload your contact info to their phone. 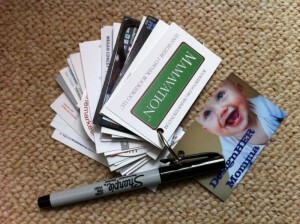 You can also print the QR Code on a business card (mine has one) but that takes more advance planning! Group Texting: If you’re traveling as a pack, or want to make plans with people as you go, try out one of the up-and-coming group text services. These apps and services allow one-to-many texting, saving you lots of phone calls and making quicker connections than email. And, at a conference with bad mobile web reception (who hasn’t been in those black-hole ballrooms? ), texts will usually get through. Once you’ve got all your social media tools in place, think about the physical tools you use, too. Take a Sharpie pen so you can write notes on any business card, even a glossy one – those notes may be really helpful to you when you’re struggling to remember who’s who. Here’s my special trick for keeping business cards together – thanks to the crafty and smart Tauni Everett for this idea: a binder ring (with holepunch) for all the cards from a single conference. These can sit on my desk together for easy flipping and referencing. 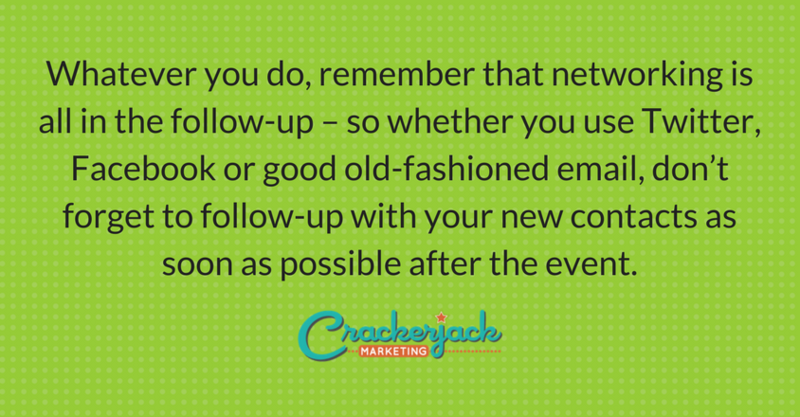 Whatever you do, remember that networking is all in the follow-up – so whether you use Twitter, Facebook or good old-fashioned email, don’t forget to follow-up with your new contacts as soon as possible after the event. 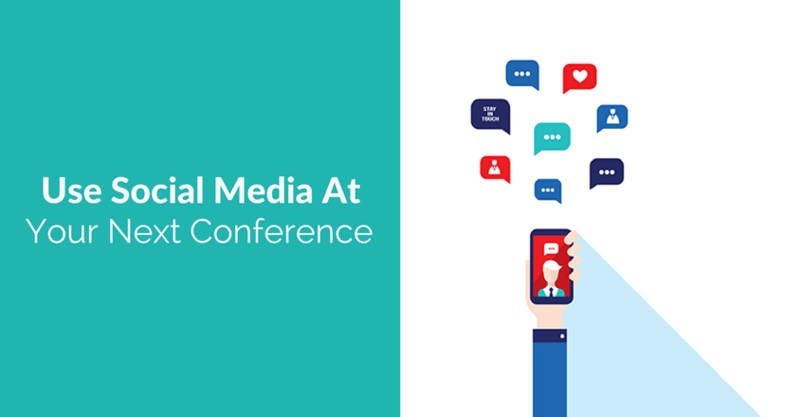 Are you in riding the conference carousel? How have you used (or do you plan to use) social media to help keep it all together? Please let us know in the comments! This post originally appeared in a slightly different form at the Creative Concepts Blog, where I’m a regular contributor on social media topics.